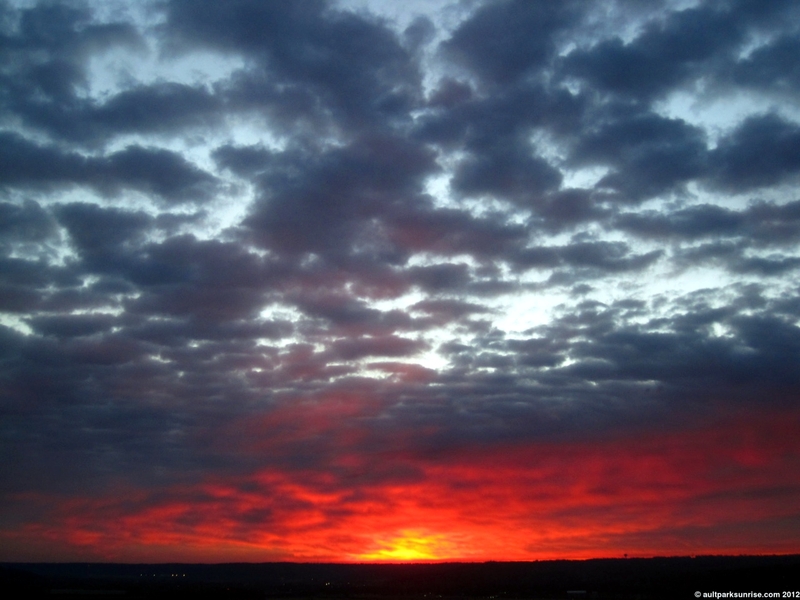 When I peered out the window at 6:20am, I couldn’t tell what the sky was doing. In my mind, I played with the idea of going back to bed but before committing I checked out the front door. 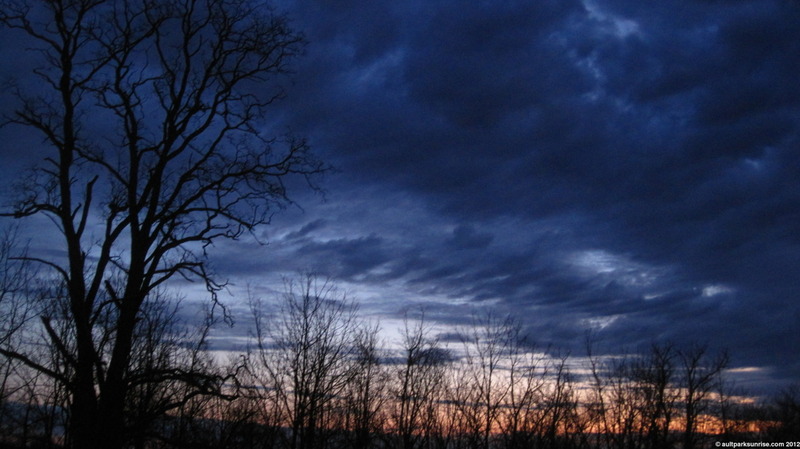 High in the atmosphere there was a thick cloud layer that was making the eastern sky particularly dark, but it broke in the center of the sky to reveal a dark clear sky that was beginning to take on a subtle early twilight teal. 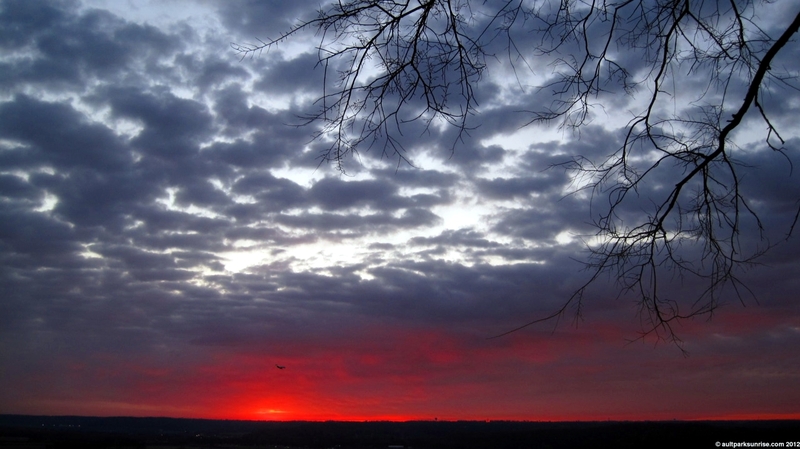 I figured that it was worth the game and headed up to the park to see what the pseudo-spring morning had in store. Needless to say, the gamble paid off. This is Mike the Turtle. 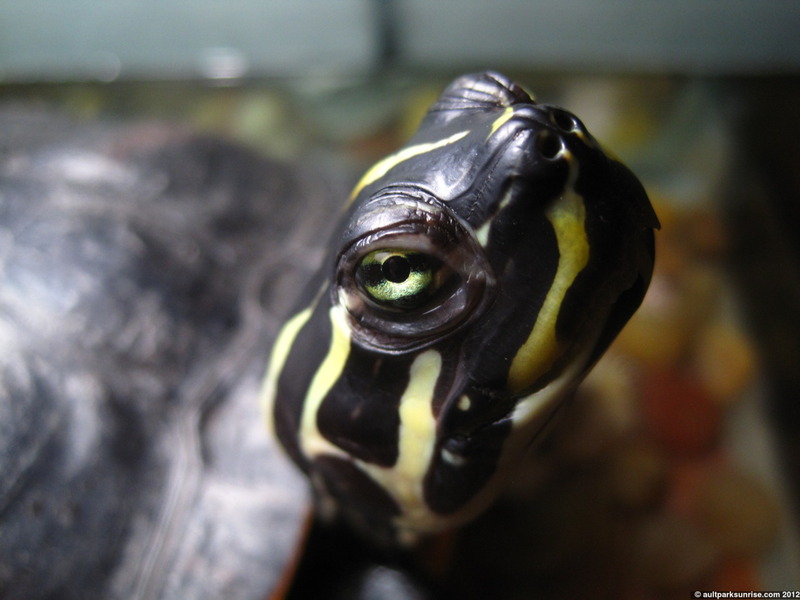 His eyes are striped, matching his skin pattern. He loves romaine lettuce, hates iceburg. Likes chasing fish, does not like stawberries (unlike most other turtles who love them). When he’s basking in the sun he gets lethargic, likely giving into the life-giving warmth that only a cold-blooded animal could appreciate. Coming into the park, I can see that the northern sky has broken and is reflecting some early twilight colors. But the eastern sky is dark and gloomy. 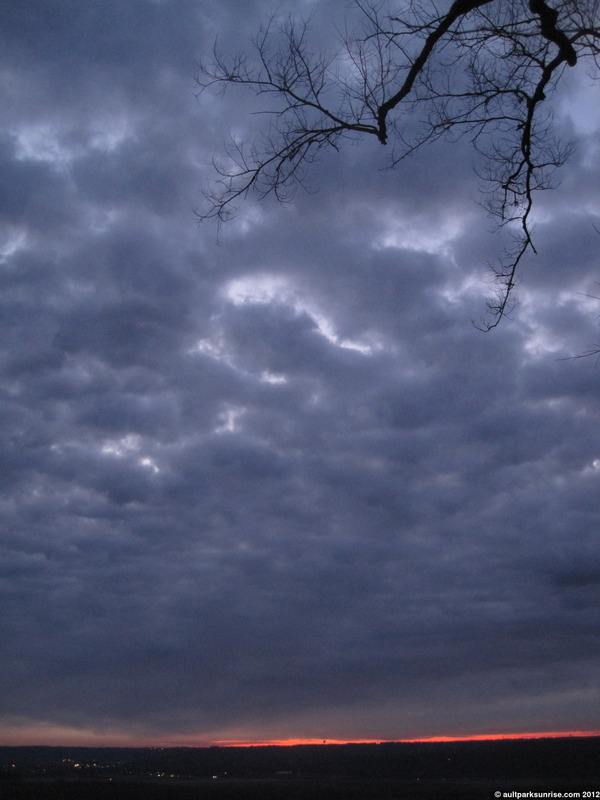 A plane takes off during mid twilight against a dark, gloomy, but hopeful cloud bank. For the rest of this post, 12 pictures total, click to continue if you’re on the front page. Behind the cloud layer we can see the atmosphere beginning to light up. Suddenly, and I do mean out of no where, there is this bright pink pulse that shines out from the thin opening under the cloud bank at the horizon. 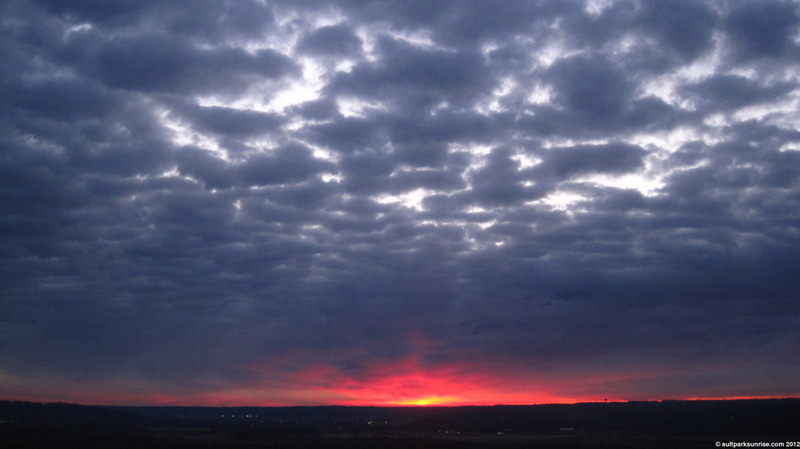 What has happened is that the first rays of sunlight are bending around the curvature of the atmosphere, under the break in the clouds, and reflecting against the bottom of the cloud layer. Over the next 7 minutes I watched as this wave of magenta grew from a small kernel of pink into a pool of fuchsia. 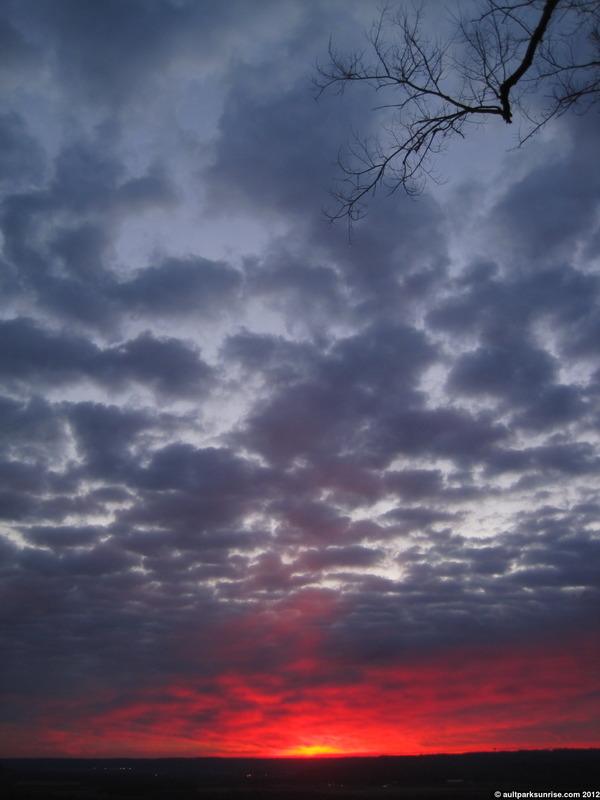 It was fascinating… I watched it move across the sky and intensify before fading back into dawn orange. This picture, blurry and “yellow”, does no justice to the deep colors that were illuminating from the horizon. 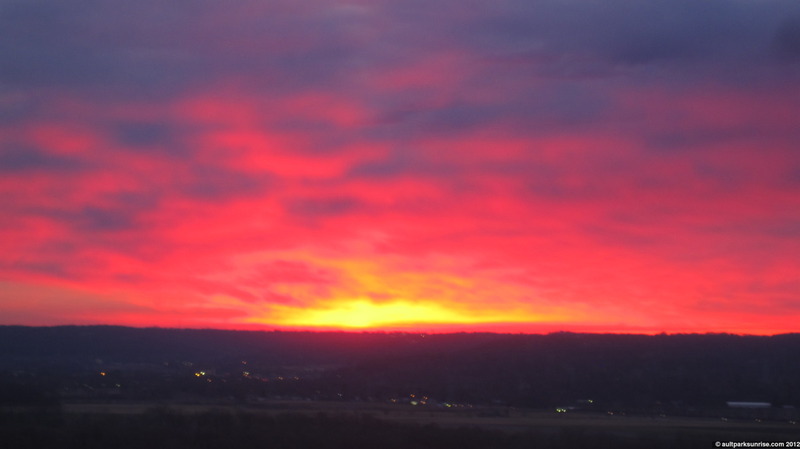 This was one of the few rare sunrises where the colors are so bright that my camera’s sensor has a hard time picking them up accurately. That yellow is actually a soft shade of fuchsia. The magenta wave’s influence grew as it spread throughout the sky under the dynamic dark clouds whose high atmospheric background was beginning to shine brightly through the cracks. By backing up a bit i can get a little bit more of the pink color without the yellow sensor saturation. At this point the fuchsia wave is starting to collapse as the sun rises up into the atmosphere, blocked by the cloud layer. As the sunrise colors fade back into orange, a plane lands at Lunken Airfield. On the way back I swung through the local Bigg’s parking lot. 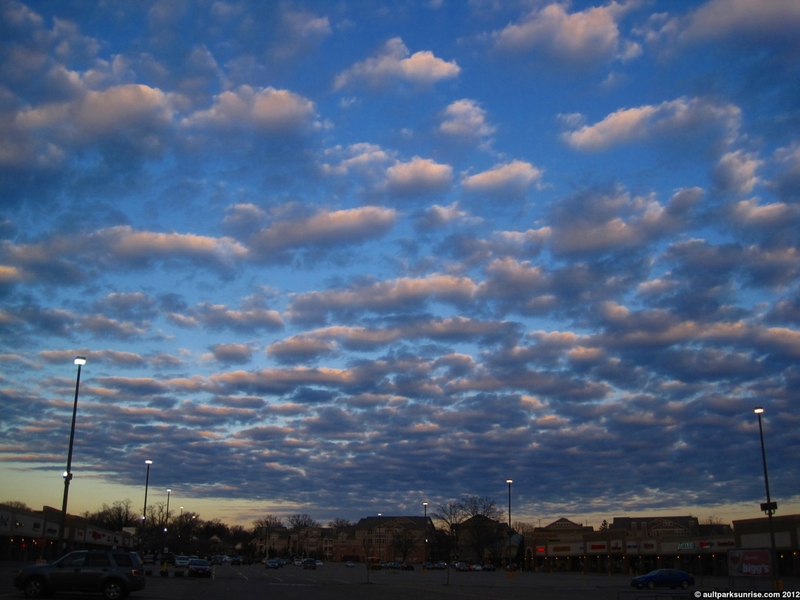 I often find that these large parking lots provide excellent views of the sky due to the low horizon in all directions. 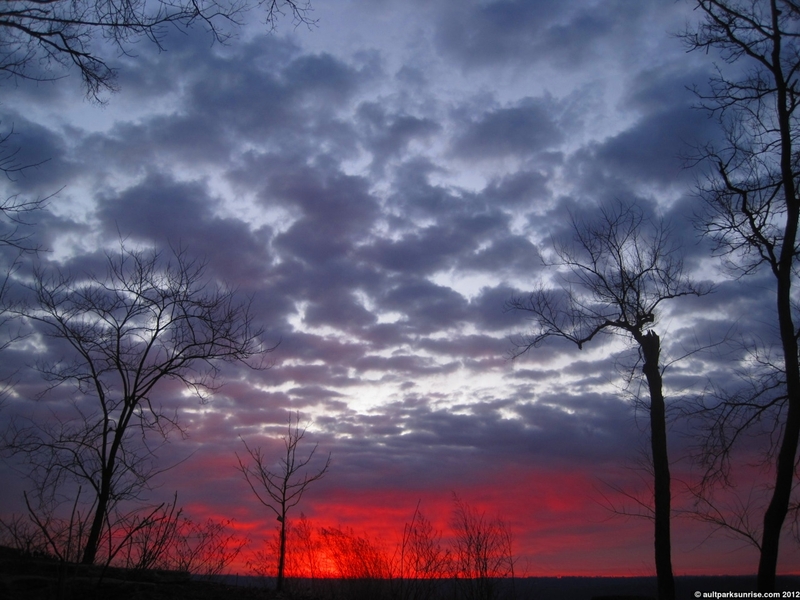 Behind me, the sun has started to peak over the thinning cloud layer, and is now illuminating the tops of the clouds. 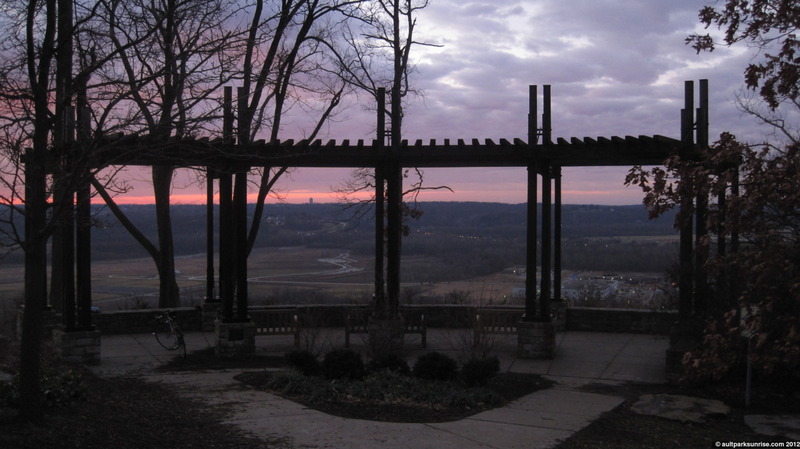 This entry was posted on February 22, 2012 by Ault Park Sunrise. 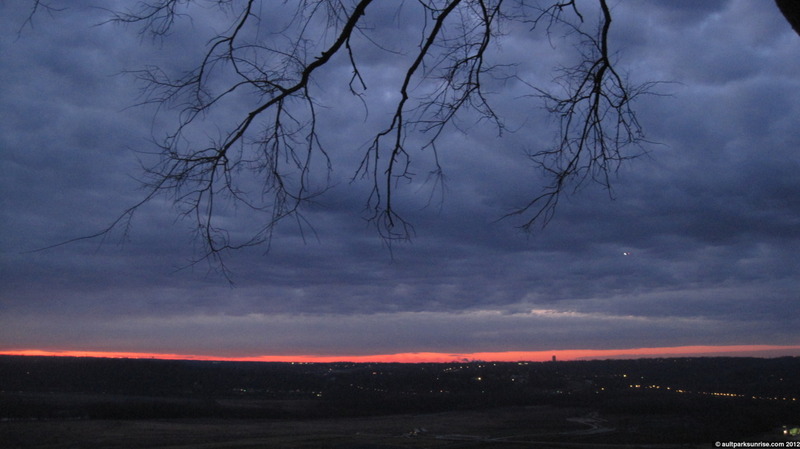 It was filed under slightly cloudy, sunrise and was tagged with ault park, cincinnati, mike the turtle, sunrise, winter. Wow!! Haven’t seen one quite like this before….reflections under the clouds. Really cool!! Thanks Dawn! I bet we’ll see some more strange ones as this weather progresses into spring.